Home / Bo Napoleon / brand new / brand new artist / música / Bo Napoleon Unveils New Single "Poolside"
Bo Napoleon Unveils New Single "Poolside"
Happy Saturday guys! It's officially the weekend and I've got a perfect track for your relaxing weekend. 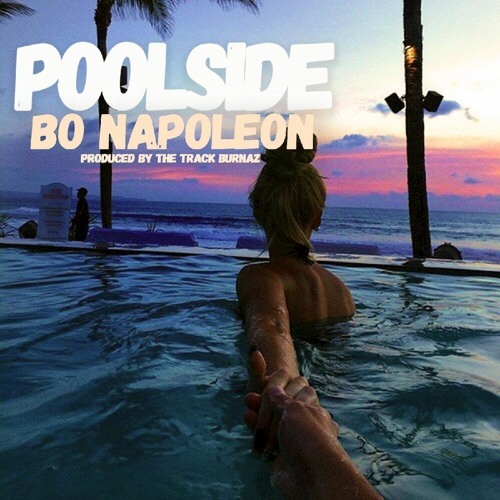 American singer/songwriter Bo Napoleon has just unveiled his brand new single Poolside, out now on Mensch House Records. It was the acoustic guitar that got me hooked to this song and then his smooth vocals just sealed the deal for me. Poolside is such a sweet and delicate track perfect for those long summer days. All I want to do now is go out side, lay down and just enjoy the summer. Stream this gem below! On Poolside you can sense some tropical island vibes which is courtesy of his Hawaiian roots and the way he sings gives the track a reggae-tinged and chillout groove.